So, you’d like to meet me in person? We’re scaling back our appearances now that a sequel to Little Boy Blue is in the works. If you’d like an autographed copy of the original book, you may contact any of the venues below. We signed extra copies for most of them, and if they don’t have any left, they can get more through our publisher. August 26, 2012: Kim and Blue attended Dogfest in Westwood, New Jersey in conjunction with Shaw’s Book Shop. September 7, 2012: Kim and Blue did a reading and signed books at Clinton Book Shop in Clinton, New Jersey. September 8, 2012: Kim and Blue signed books at Books-A-Million in Springfield, Pennsylvania. September 15, 2012: Kim and Blue signed books at Responsible Dog Owner Day at Olde Lafayette Village in Lafayette, New Jersey, where Blue’s longtime trainer owns and operates K-9 Coaching. September 15, 2012: Kim and Blue appeared by video at A Concert for a Cause in Roxboro, North Carolina. September 15, 2012: Kim and Blue signed books at Mendham Books in Mendham, New Jersey. September 23, 2012.: Kim and Blue signed books at The Doylestown Bookshop in Doylestown, Pennsylvania. September 29, 2012: Kim promoted “Little Boy Blue” at the Washington, D.C., conference of the New Atlantic Independent Booksellers Association. October 3, 2012: Kim and Blue gave a talk and signed books at the Washington Township Public Library in Long Valley, New Jersey. October 6, 2012: Kim and Blue signed books at Boulevard Books and Cafe in Brooklyn, New York. 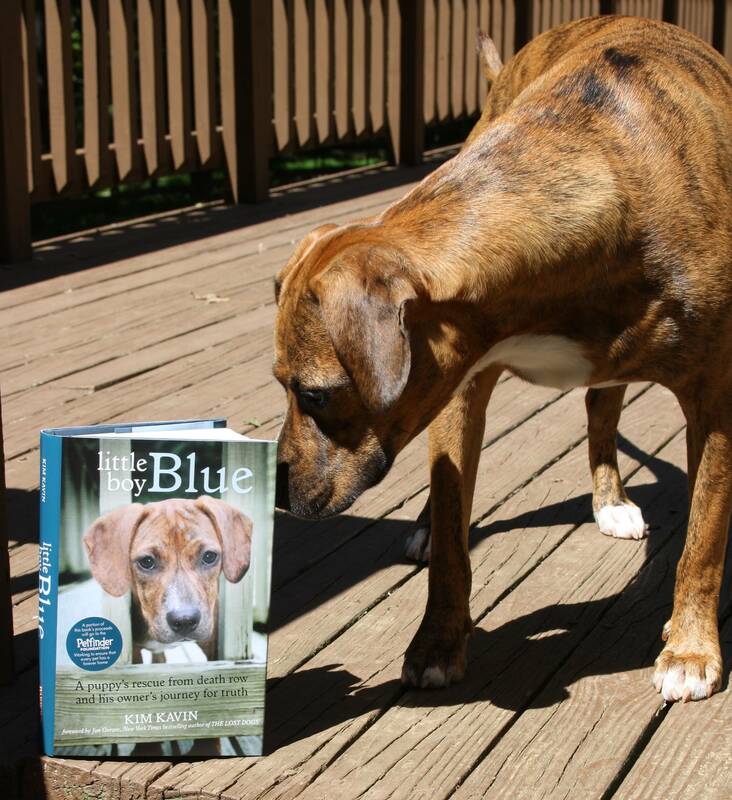 October 6, 2012: Kim and Blue signed books at The Carousel Lavender Farm in Buck’s County, Pennsylvania, to benefit Lulu’s Rescue, one of the groups that helped to save Blue’s life. October 7, 2012: Kim signed books at Harper’s Books in East Hampton, New York, as part of a reception for the HBO film “One Nation Under Dog” at the Hamptons Film Festival. October 9, 2012: Kim and Blue signed books at Tewksbury Township Public Library in New Jersey. October 13, 2012.: Kim and Blue will signed books to benefit rescue efforts at Aardvark Animal Hospital in Exton, Pennsylvania. October 17, 2012: Kim and Blue signed books at the Barnes & Noble in Smith Haven Mall, Long Island, N.Y.
October 20, 2012: Kim and Blue signed books at Towne Book Center and Cafe in Collegeville, Pennsylvania. October 24, 2012: Kim and Blue signed books at the Barnes & Noble in Exton, Pennsylvania. October 27, 2012, 11 a.m.: Kim and Blue signed books at Well Bred in Chester, New Jersey. 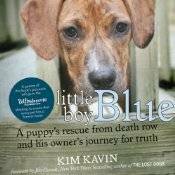 October 28, 2012, 11 a.m. till 2 p.m.: Kim and Blue signed books to benefit Coming Home Rescue at New Jersey. November 10, 2012.: Kim signed books at Booktrader of Hamilton in Hamilton, N.J.
November 10, 2012: Kim signed books at a fund-raiser for SAVE Animal Rescue in Princeton, New Jersey. November 15, 2012: Kim and Blue signed books at Connecticut’s New Canaan Library in conjunction with Elm Street Books. November 26, 2012: Kim and Blue gave three assembly presentations and met with students to discuss dog rescue, journalism, and book writing at Owen J. Roberts High School in Chester Springs, Pennsylvania. December 12, 2012.: Kim and Blue signed books at Mendham Borough Library in New Jersey. April 20, 2013: Kim and Blue signed books at BookTowne in Manasquan, New Jersey. April 27, 2013: Kim and Blue signed books at Well Bred in Chester, New Jersey. May 11, 2013.: Kim and Blue signed books at One of the Family Pet Supply in Middlesex, New Jersey, to benefit Jersey Girls Animal Rescue. September 21, 2013: Kim and Blue signed books at the Pottstown Pet Fair in Montgomery County, Pennsylvania, with Towne Book Centre. September 22, 2013: Kim and Blue were the keynote speakers at an animal-theme day at the Monmouth County Library in Manalapan, New Jersey. November 16, 2013: Kim and Blue joined Jim Gorant, author of “Wallace” and “The Lost Dogs,” for a talk and book signing at Words bookstore in Maplewood, New Jersey. 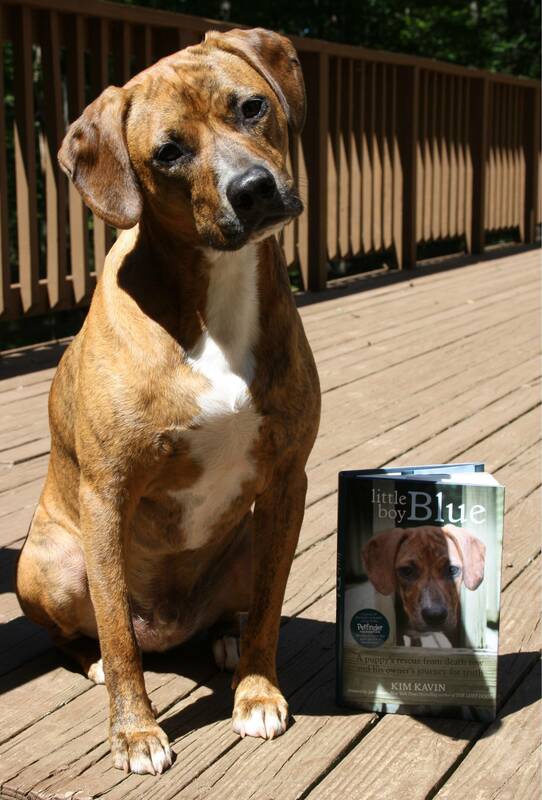 March 30, 2014: Kim and Blue signed books in Buckingham, Pennsylvania, to benefit Lulu’s Rescue. May 17, 2014: Kim and Blue signed books at Proud Pet Day to benefit Pet Pantry of Lancaster, Pennsylvania.